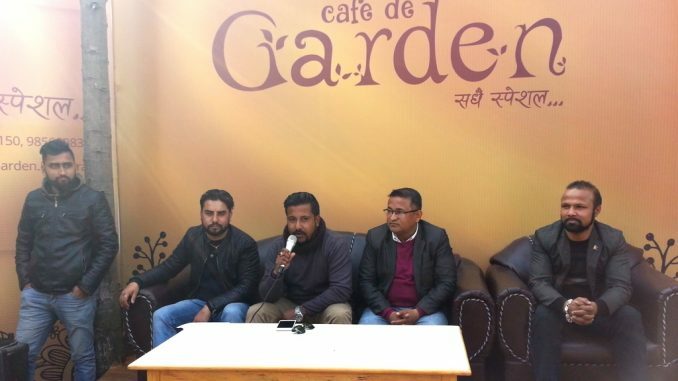 Pokhara—Pokhara’s old restaurant Café de Garden has started its operation under new management at Chipledhunga, one of the most happening places of Lake City. Organizing a press meet today, restaurant’s chairman Arjun Giri claimed that they are ready to serve delicious foods in efficient price. According to Giri, the restaurant offers 20 percent discount during its opening from January 21 to 28. 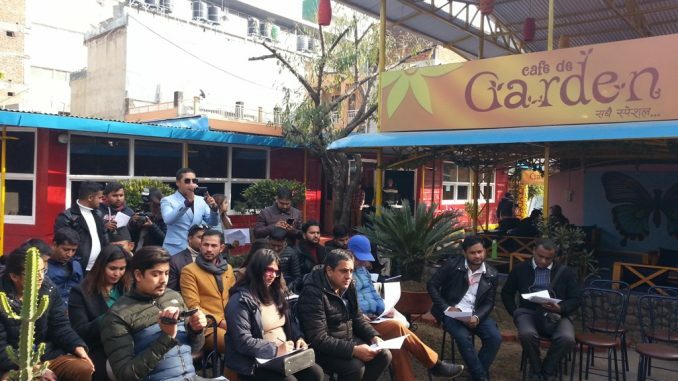 ‘Besides foods, we would also carry out live music in the restaurant’, said restaurant’s another promoter Bijay Lamsal. According to Lamsal, the restaurant would serve varieties of quality foods in cheaper price. The restaurant has a meeting hall with the capacity of 150 persons as well as enough parking lot along the building. The restaurant would also book birth day and marriage parties, seminars, training programs including other events. According to promoters Giri and Lamsal, they are serious in the part of hygiene maintain in the restaurant. FNJKaski chairman Dipendra Shrestha congratulated Lamsal and Giri for their joint venture of Rs 7 million during the press meet.